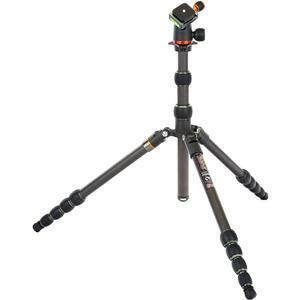 Return of the iconic travel tripod. 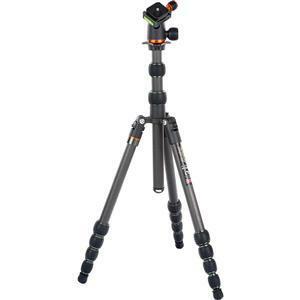 Offering extraordinary functionality and capability, the 3 Legged Thing Brian 74" Carbon Fiber Tripod is a true travel tripod. 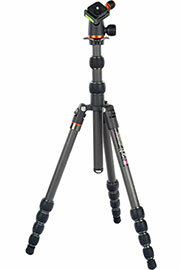 Featuring 5-section legs and a 2-section center column, Brian provides exceptional stability and rigidity. 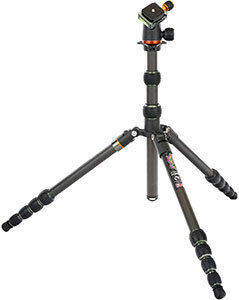 One of the removable 8-layer carbon fiber legs converts into a monopod that reaches a maximum height of 76 inches (193 cm). 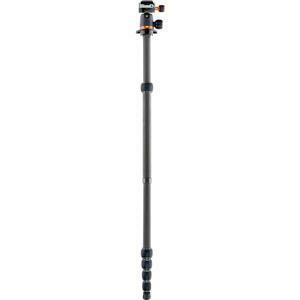 Lightweight, and folding down to just 16.5 inches (41cm), Brian has a very impressive load capability of 30 pounds (14kg). 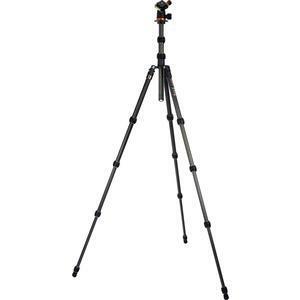 Easy to carry, and ideally suited to be stowed in luggage, the Brian is the perfect travel tripod. 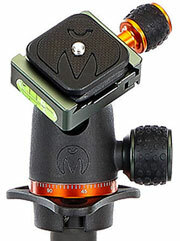 The 3 Legged Thing Brian also comes with the AirHed Neo ballhead, featuring all-metal construction, an Arca-Swiss compatible Quick Release Plate, bubble levels and single locking knob. 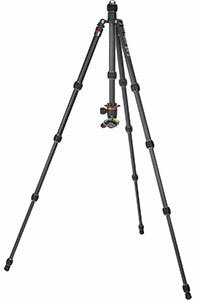 Brian's legs counterfold around the column making it a compact 16.14 inches (41cm) - ready to travel anywhere. 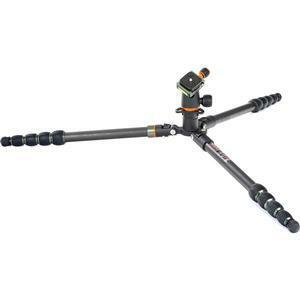 Brian, like all 3 Legged Thing tripods, comes with an easily detachable monopod leg that can also be used as a microphone or camera boom. Brian can support weights of almost 10 times its own weight. With a 30 pound (14kg) payload, Brian is capable of supporting a wide range of cameras equipment. 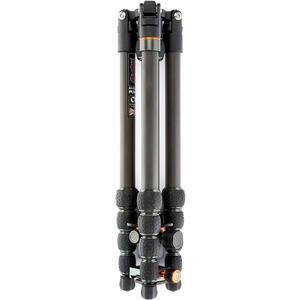 3 Legged Thing's unique Bubble Grip system provides better leverage, and greater rigidity, with smooth, easy to use mechanism. The patented Tri-Mount plate offers three hollowed spurs for accessory attachments, and enables Brian to fold up, even when the column is detached. Brian has detachable rubber Bootz, which can be replaced with optional foot accessories, for maximum stability on any terrain.